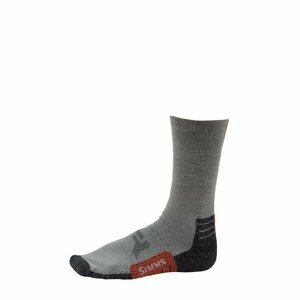 Simms Guide Lightweight Bugstopper Socks, Comfortable and lightweight, insect-fishing socks you can rock on and off the river. Lightweight Guide BugStopper Socks utilize a leading-edge blend of fibers that dump moisture, kill odor, and house Insect Shield® tech for protection against insects. 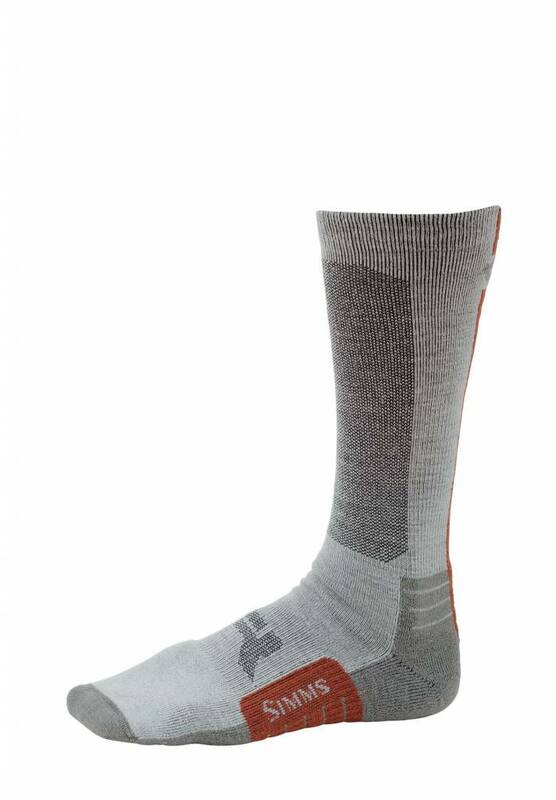 Starting with premium merino wool, socks are finished with nylon, polyester, and LYCRA® stretch. Right Angle® arch support improves overall comfort across varied terrain, while the mid-calf height and lightweight feel excel both inside waders or working in concert with your street-savvy kicks. Made in the USA. 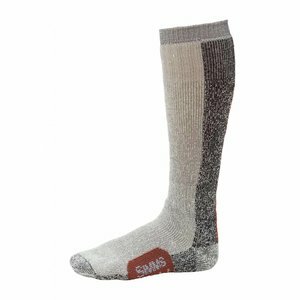 Simms Guide Lightweight Crew Socks bring premium merino wool wicking and anti-microbial performance to all your on- and off-the-water pursuits. 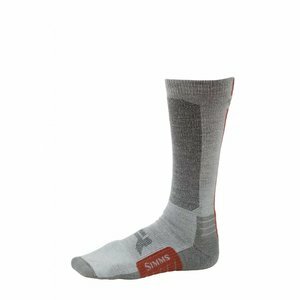 Simms Guide Thermal OTC Socks stoke a fire under your feet thanks to premium merino wool.